“The swifts are a family, Apodidae, of highly aerial birds. They are superficially similar to swallows, but are not closely related to passerine species. Swifts are placed in the order Apodiformes, which they share with Hummingbirds. 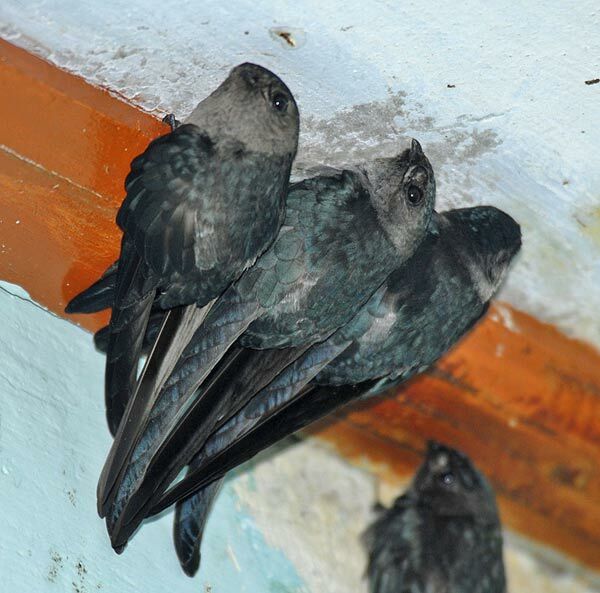 The Treeswifts are closely related to the true swifts, but form a separate family, the Hemiprocnidae. Resemblances between swifts and swallows reflect the Lords design to have similar life styles based on catching insects in flight.